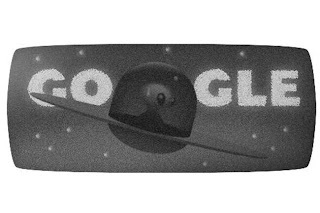 To commemorate the July 7 66th Anniversary of the UFO incident at Roswell, New Mexico, Google has a really cool Doodle for us. It takes us back to 1947 and enlists our help to get a little alien back to it’s downed ship. You direct the ET around the ranch landscape and help it find objects that will help put its ship back together. It takes some skill so don’t get discouraged. Kidding! It’s fairly easy but fun enough to keep you interested. You’ll need to find objects that assist little gray, including; a gasoline can with a “radioactive” symbol on it that gives you extra power, a feather, and a rope. Once you’ve attained all the objects, the ET goes home and a newspaper appears depicting the Roswell incident. Click on it to learn more about that history-changing event in the desert. Despite happening in 1947, it really didn’t receive major attention until 1978 when Canadian ufologist Stanton Friedman started doing research and interviews with witnesses.